Nan Qi was born in Yongkang City, Zhejiang Province, China in 1960. 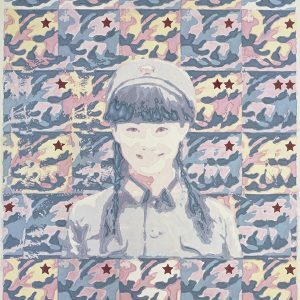 Unlike most Chinese artists who received their training from an art school, he was trained in the army and graduated from the Chinese painting course at People’s Liberation Army Fine Arts Academy, Beijing. Thereafter, he travelled to England and France to study European art in 1990. 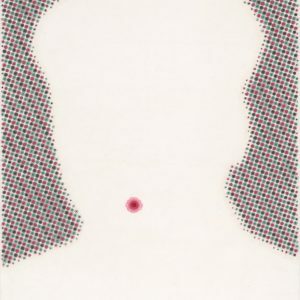 He moved to Hong Kong in 1995 and had several international exhibitions in Tokyo, Singapore, the Netherlands, Hong Kong and China before returning to Beijing in 2002. 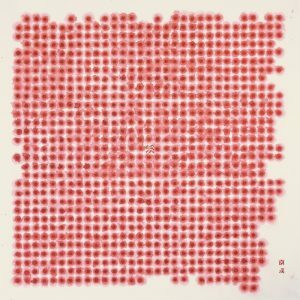 While his works include that of oil and acrylic paintings, Nan Qi later decided to focus on ink as his main technique and is now considered to be the “the master of ink dots” by many throughout China and the rest of the world. The constant evolution in both his technique and narration has made him a singular artist whose use on ink is on par with that of 3-D technology. 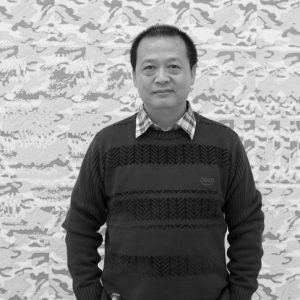 He has participated in numerous exhibitions including the Contemporary International Art Fair Miami; the Royal Academy of Art, London; the 4th Beijing International Art Biennale; the Kimmel Center for the Performing Arts, Philadelphia; the National Art Museum, Beijing; the 3rd Chengdu Biennale and the Shenzhen Art Museum. His work has been recognised and awarded in both China and abroad. His distinguished accolades include that of the Second Prize for “Great Wall Exhibition” by the National Museum of Art, Beijing; the Special Association Award at the “19th Japanese International Art Exhibition” by Ginza Art Museum, Tokyo; the Excellence Award at “The 9th Chinese National Art Exhibition” by the National Museum of Art, Beijing; the Contribution Award at the “European International Fine Arts Exchange”, Rotterdam, the Netherlands; and the Excellence Award in “The 2nd Golden Award Exhibition of Chinese Art” by the Chinese Federation of Literature at Yanhuang Art Museum, Beijing.